Published August 6, 2018 by admin. If you would like are interested in neck rejuvenation, Profhilo may be the answer for you! When Profhilo is injected into the neck and jowl area of the skin, we can create a durable lift and tightening of the skin over the next few weeks. After just two-three sessions there is a further gradual tightening of the skin with restored firmness. Profhilo is a revolutionary new concept in injectable skin treatments as it is not a skin filler. In some cases, we combine Profhilo with Botox in the neck and jowl area to further improve the contours of the jaw and the signs of ageing in the neck. 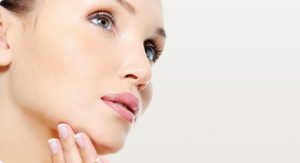 For some patients skin tightening treatments would be recommended for neck skin laxity in conjunction with, or instead of Profhilo. At Elan Medical Skin Clinic in Essex, our award-winning nurse consultant, Sue Ibrahim, has almost 20 years’ experience in cosmetic dermatology and aesthetic medicine and was runner-up in the National Safety in Beauty Awards 2016. Sue Ibrahim has also been nominated and is in the finals of the Aesthetic Nurse of The Year category 2018. All new patients receive a full consultation and medical assessment before their neck rejuvenation treatment. 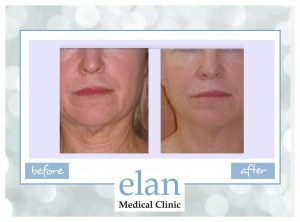 Your cosmetic consultation includes a general assessment of your needs and a discussion about the range of treatment options available, both at Elan Medical Skin Clinic and those available elsewhere. We will work with you and are here to help you make the right decision. Give Elan Medical Skin Clinic a call on 01268 770660 today to book your Aesthetic Consultation with our experienced Nurse Practitioner.